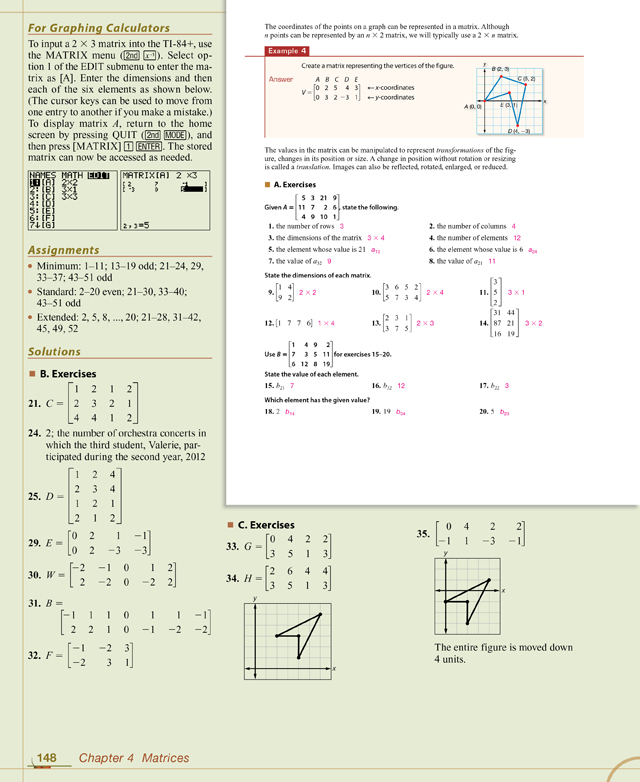 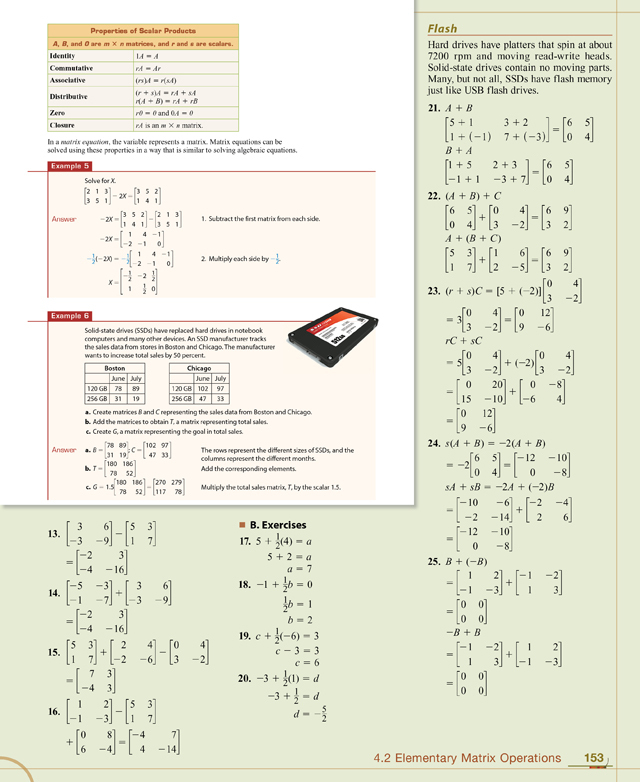 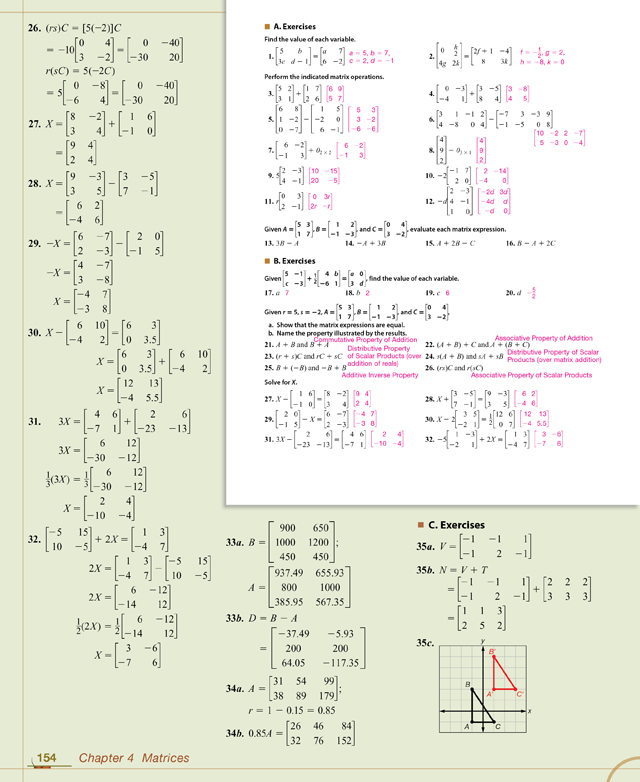 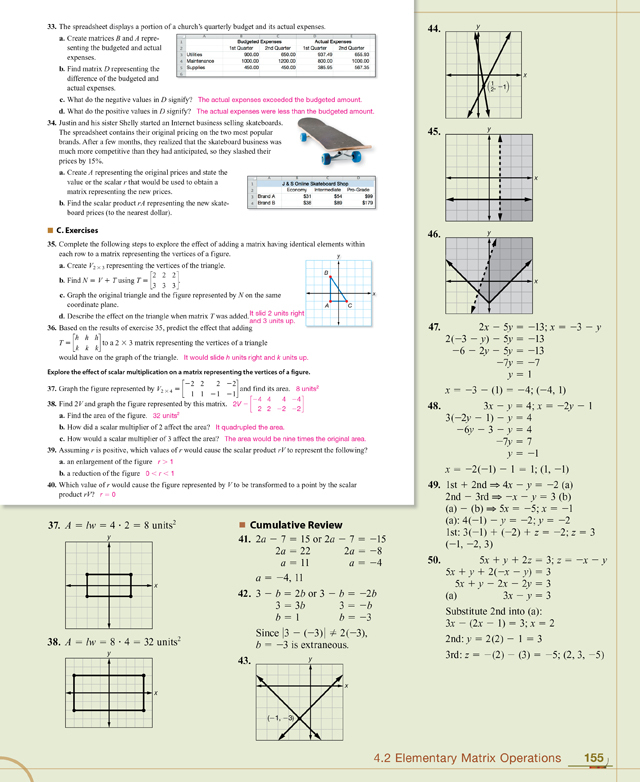 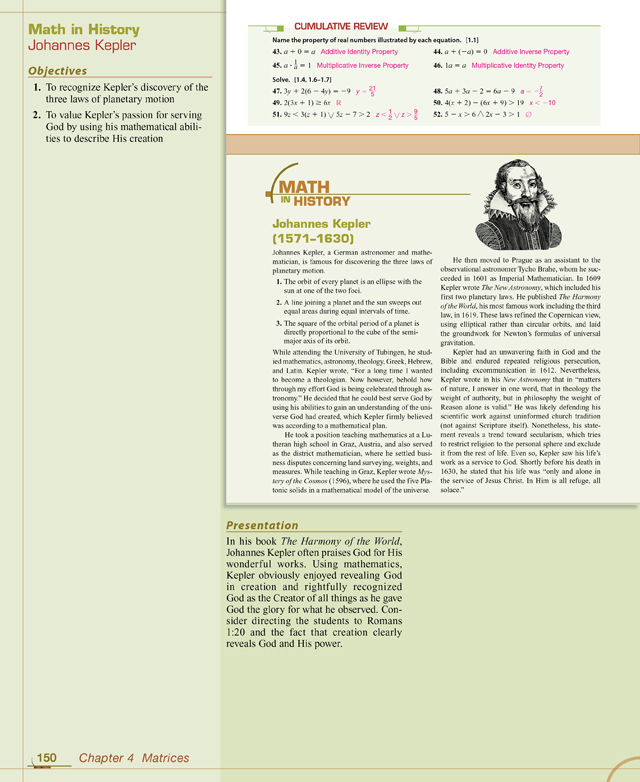 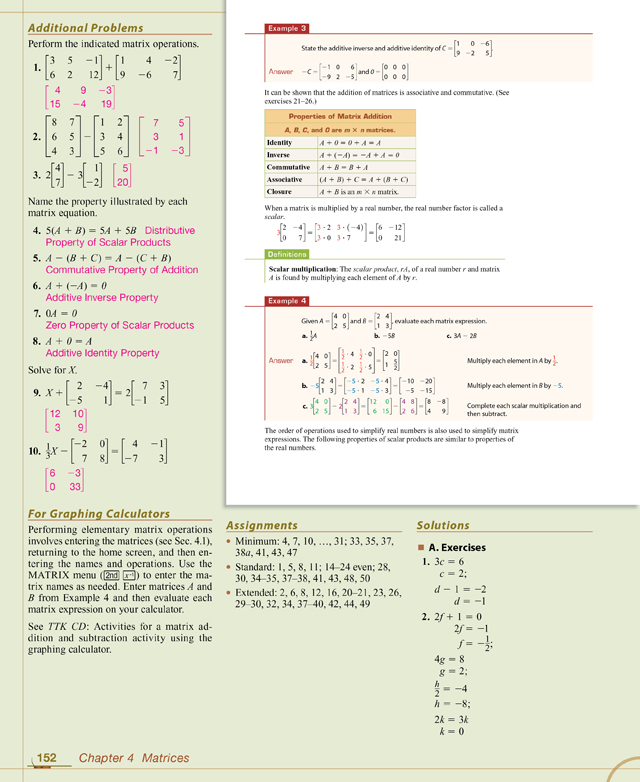 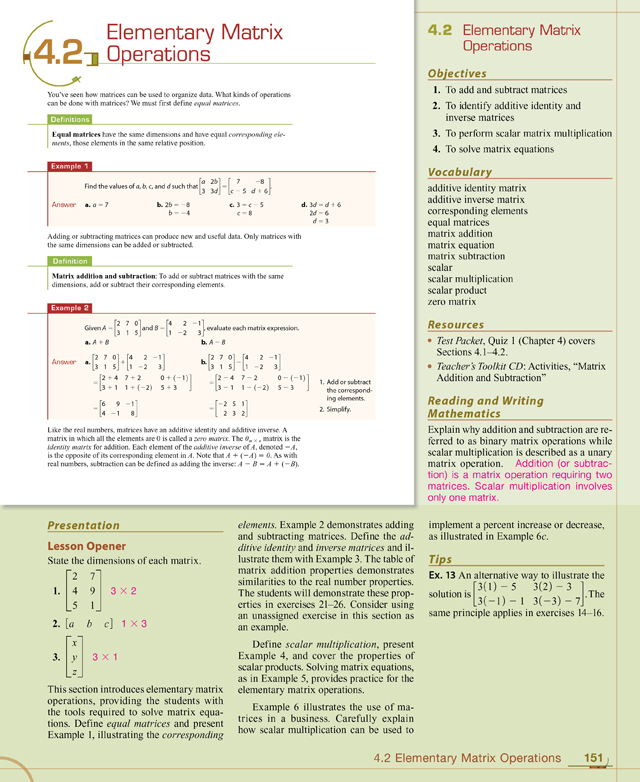 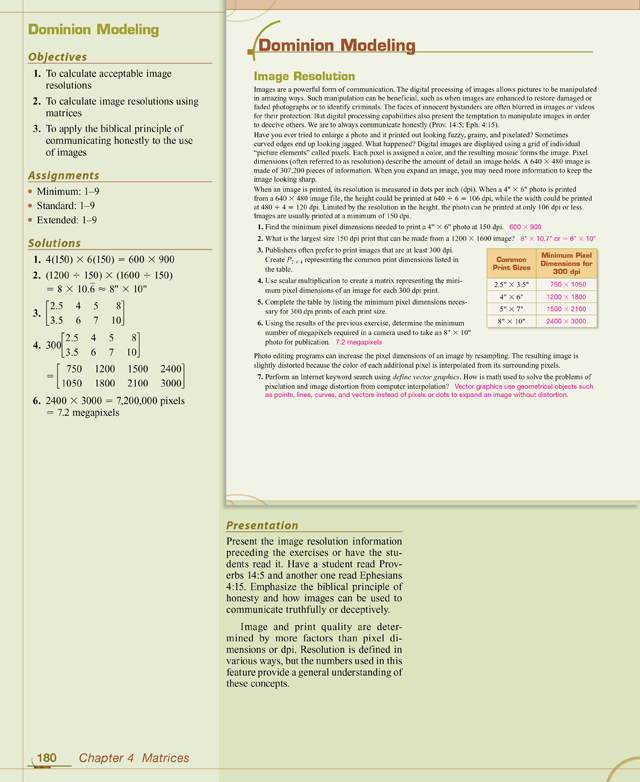 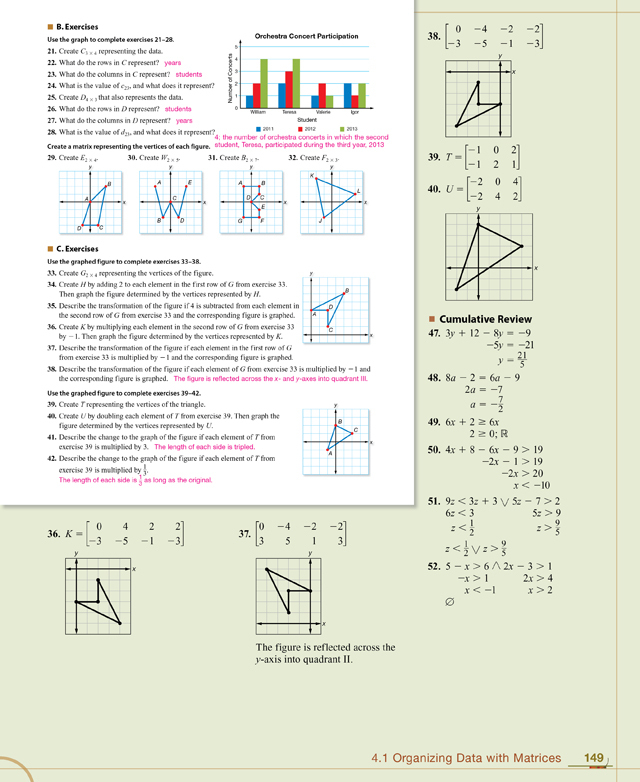 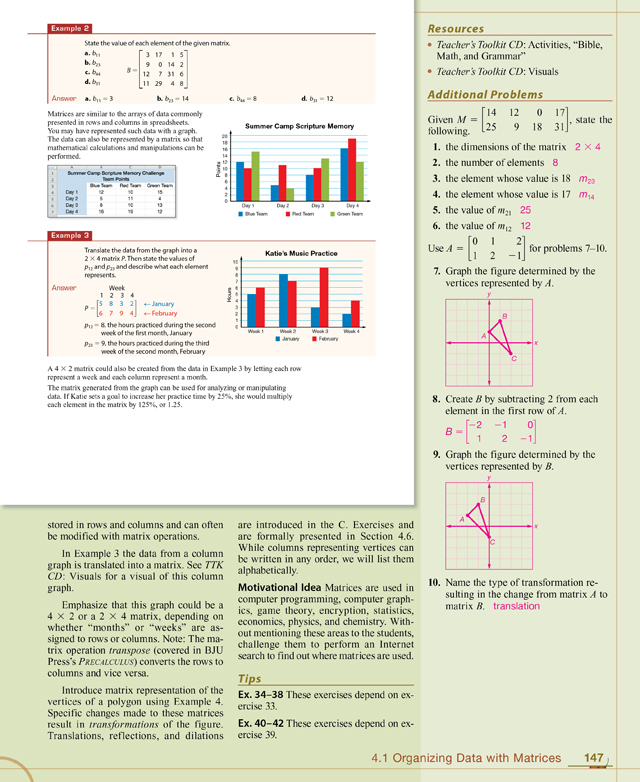 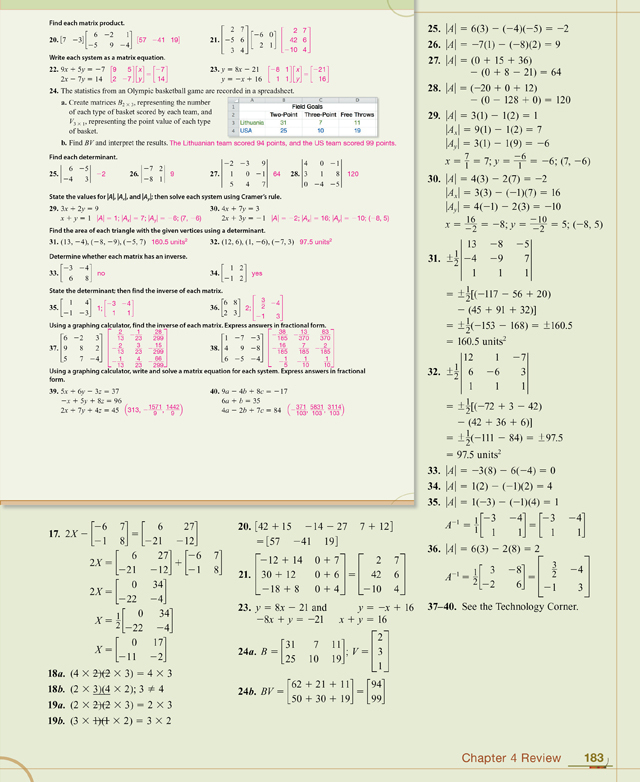 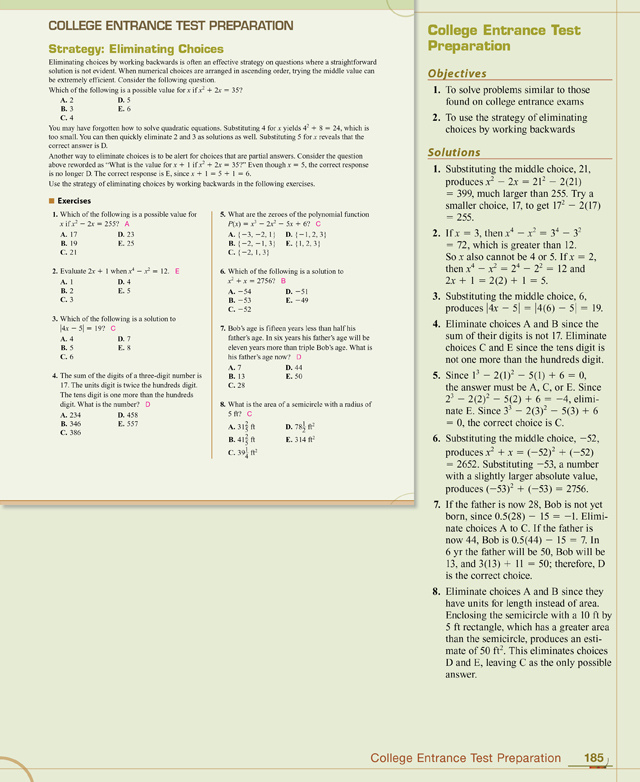 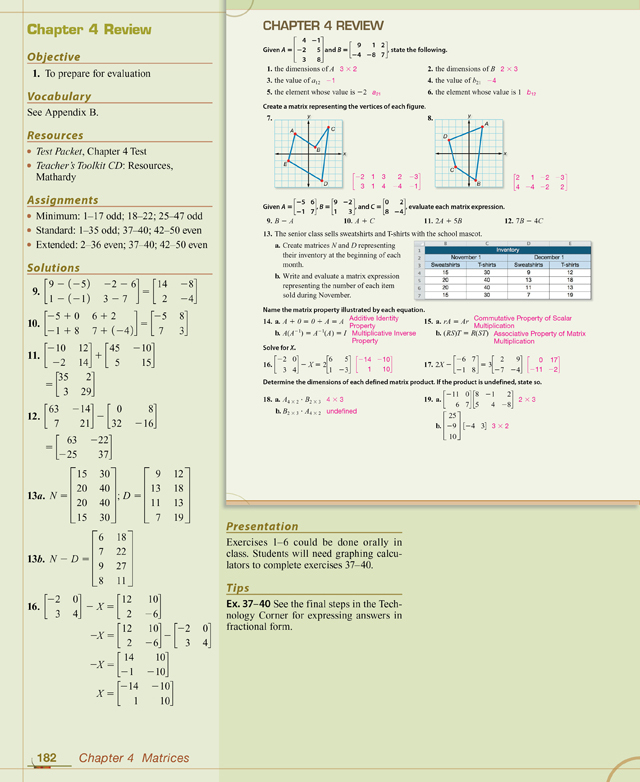 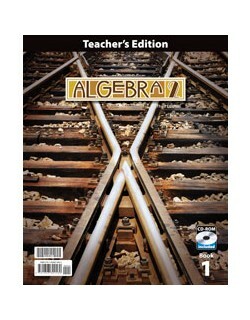 The Algebra 2 Teacher’s Edition, 3rd ed. 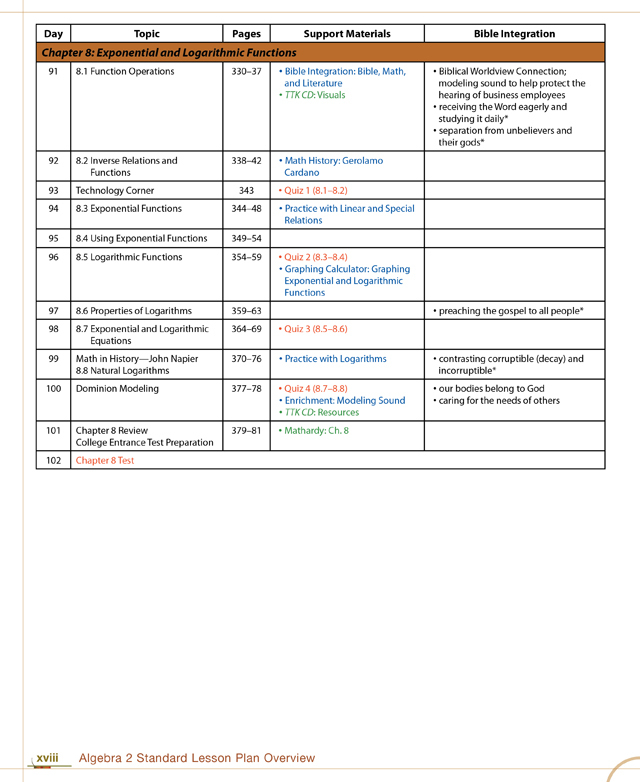 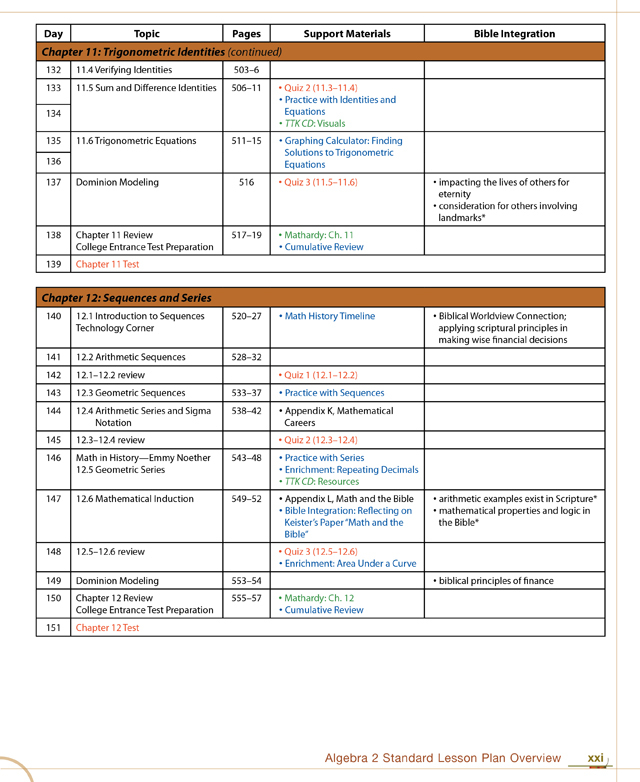 provides presentation suggestions and motivational ideas for teaching Algebra 2, including additional Internet keyword searches leading to interactive activities and supplemental material. 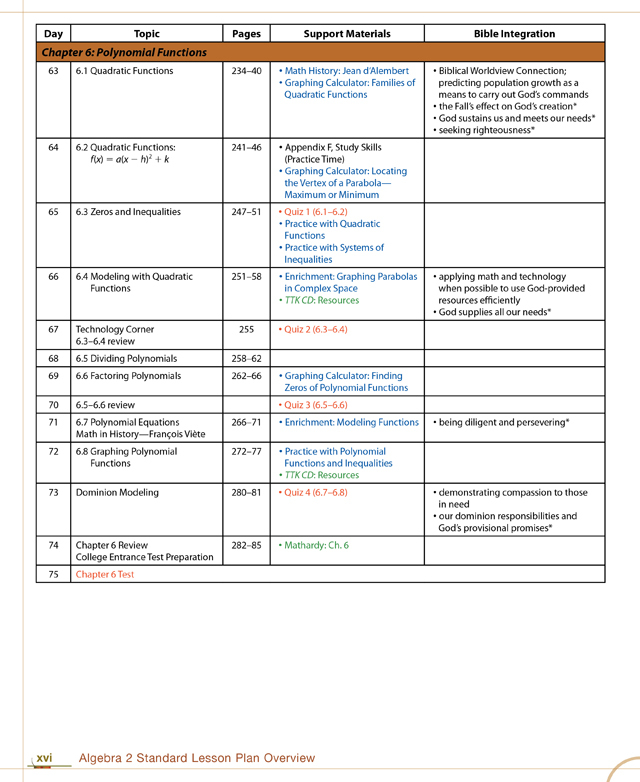 Additional problems, common student errors, math journaling suggestions, graphing calculator tips, and one-on-one activities are also included. 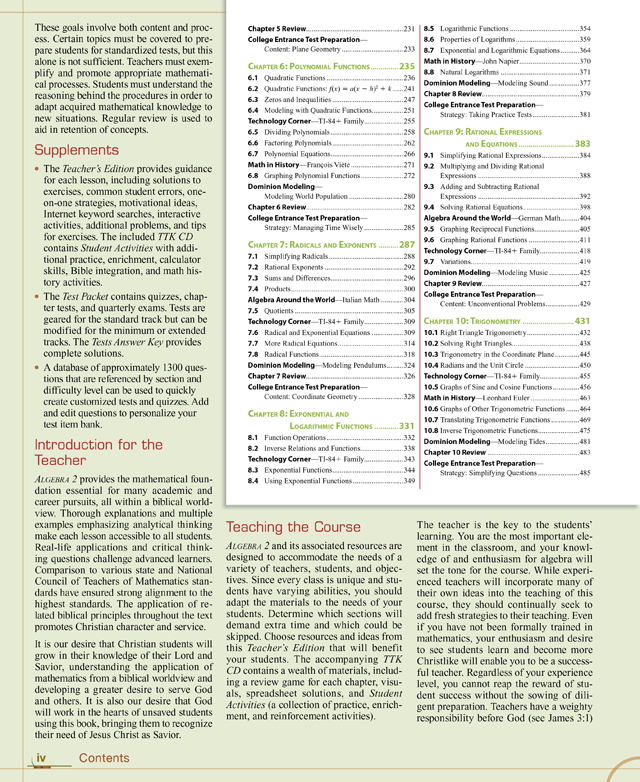 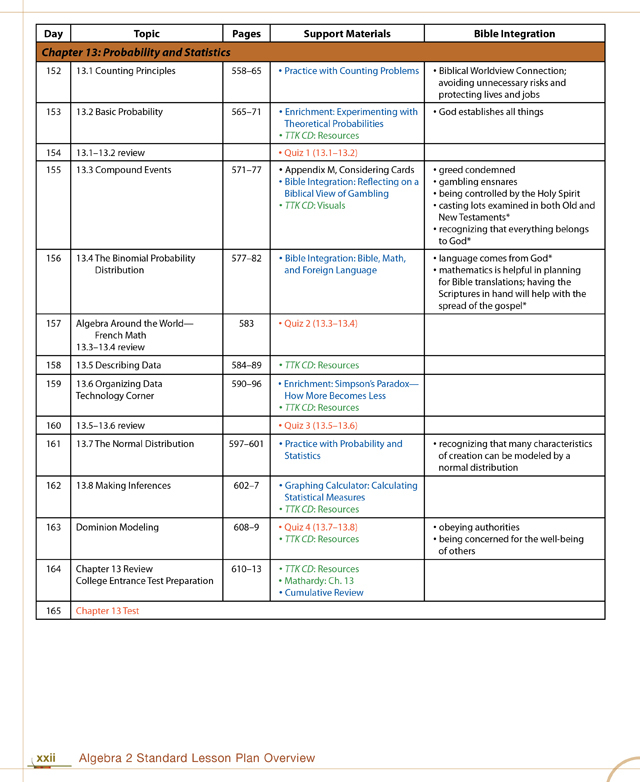 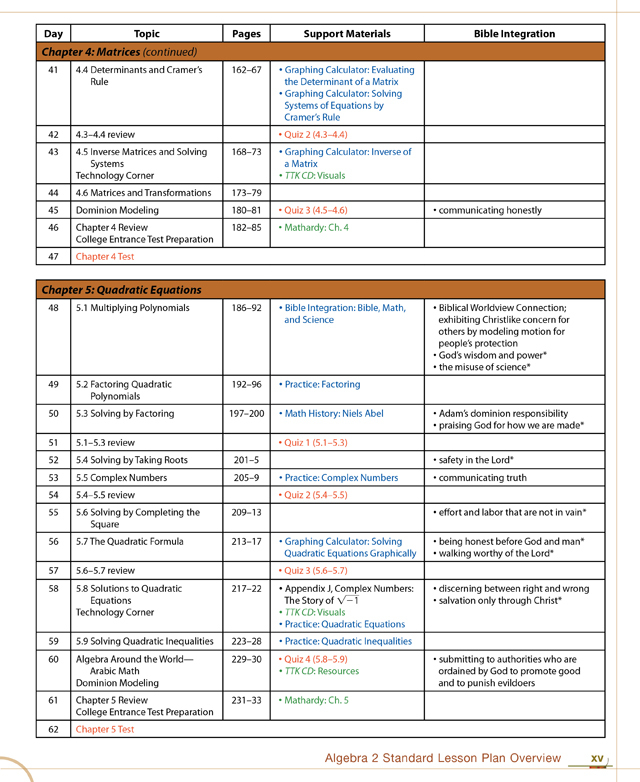 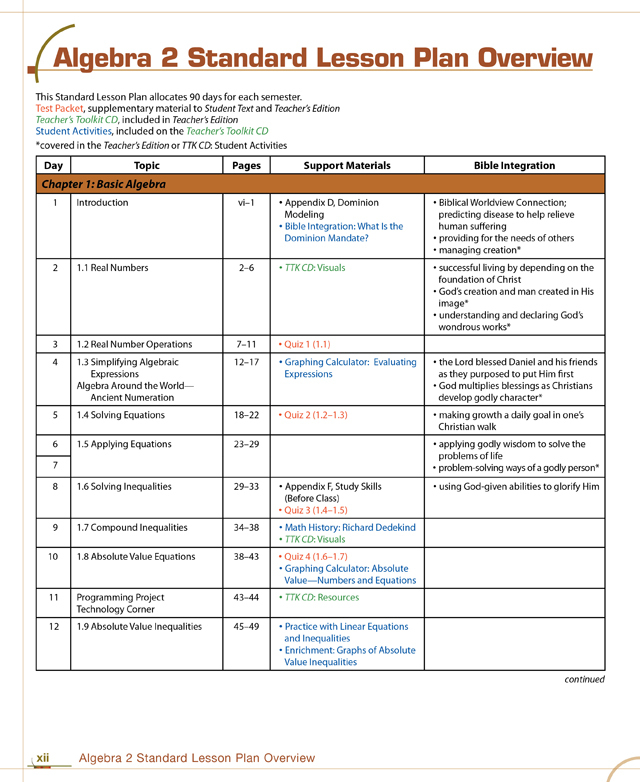 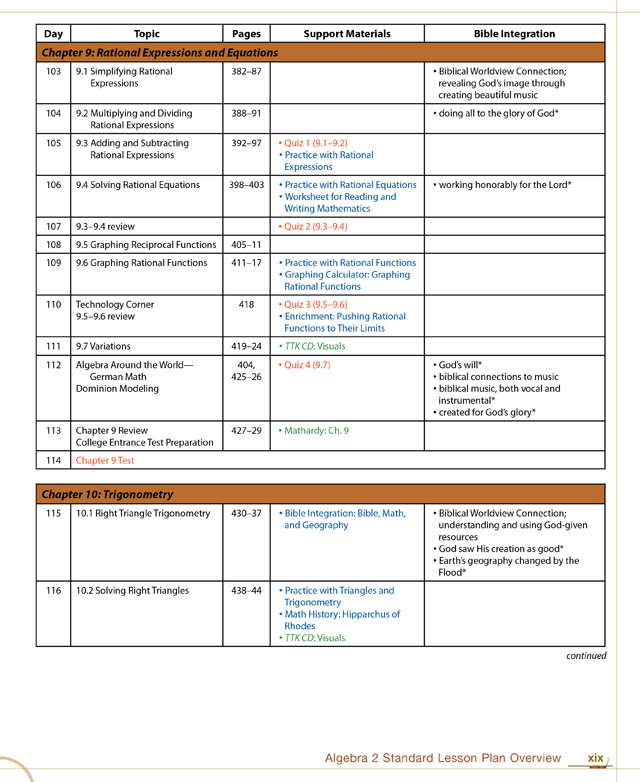 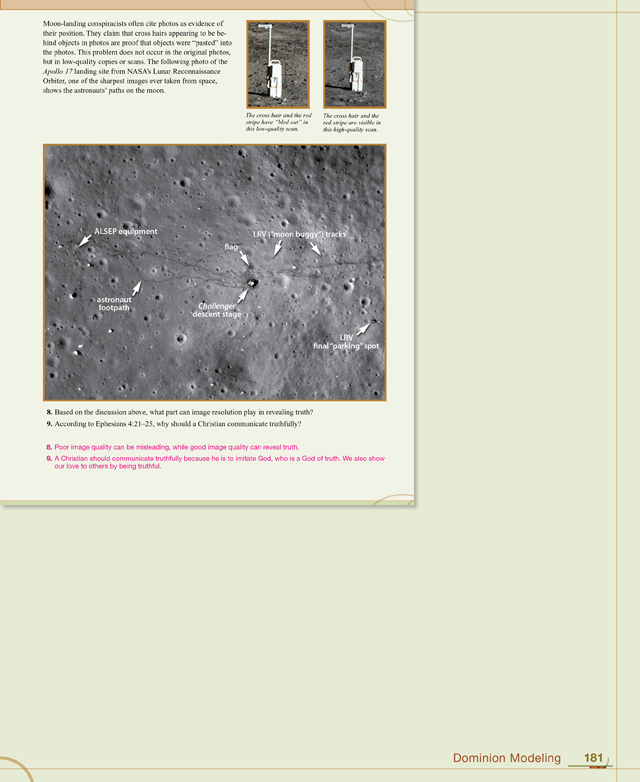 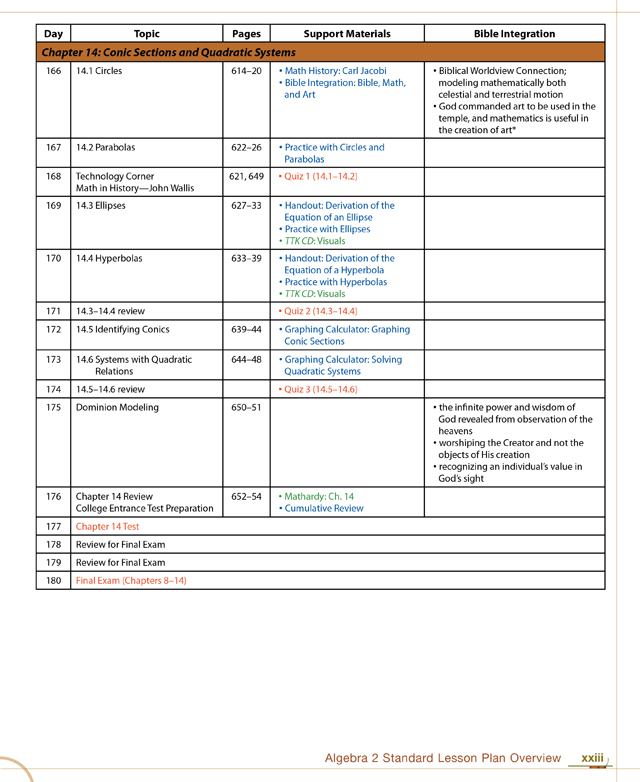 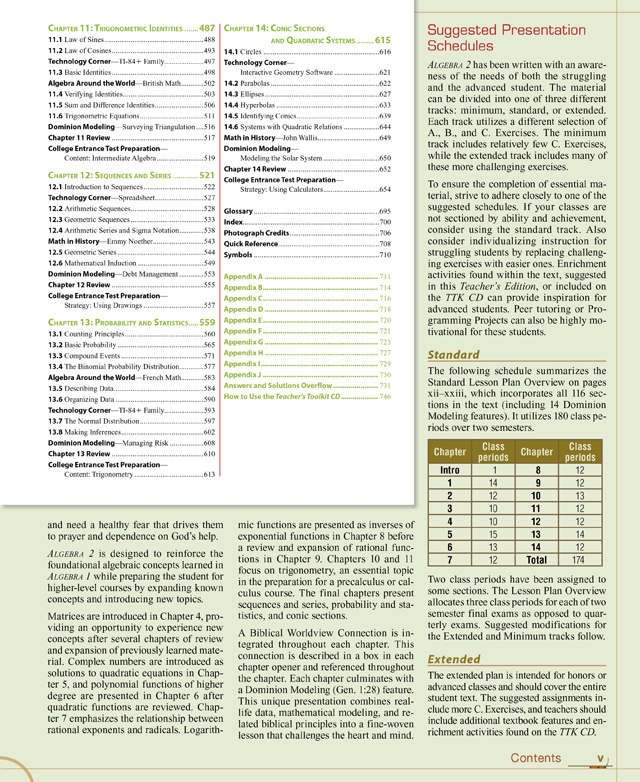 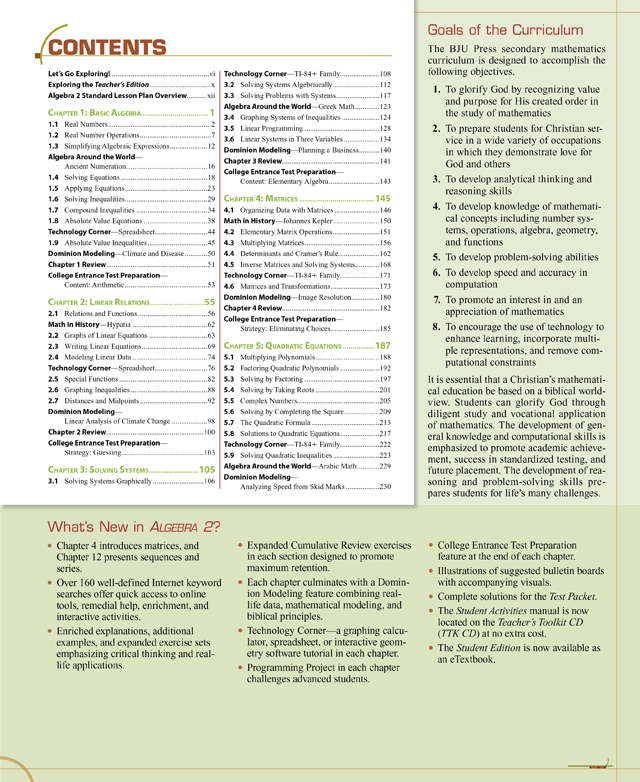 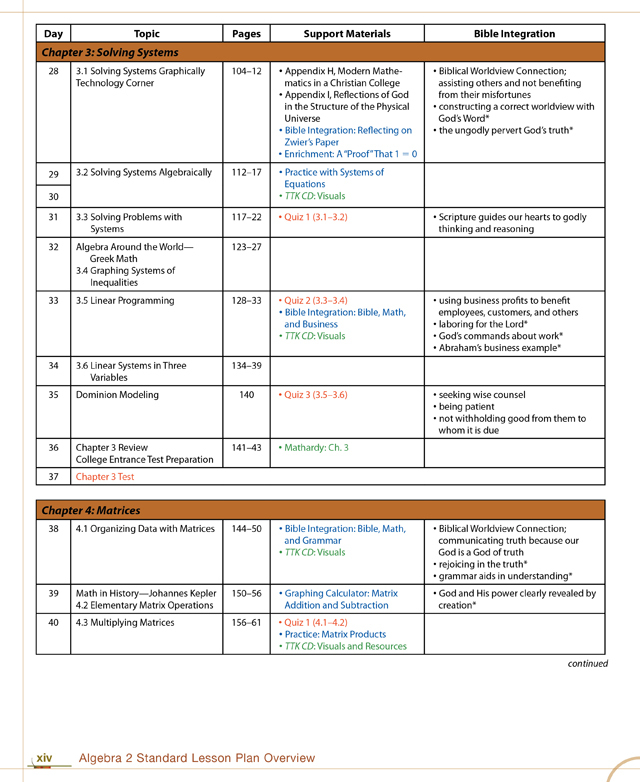 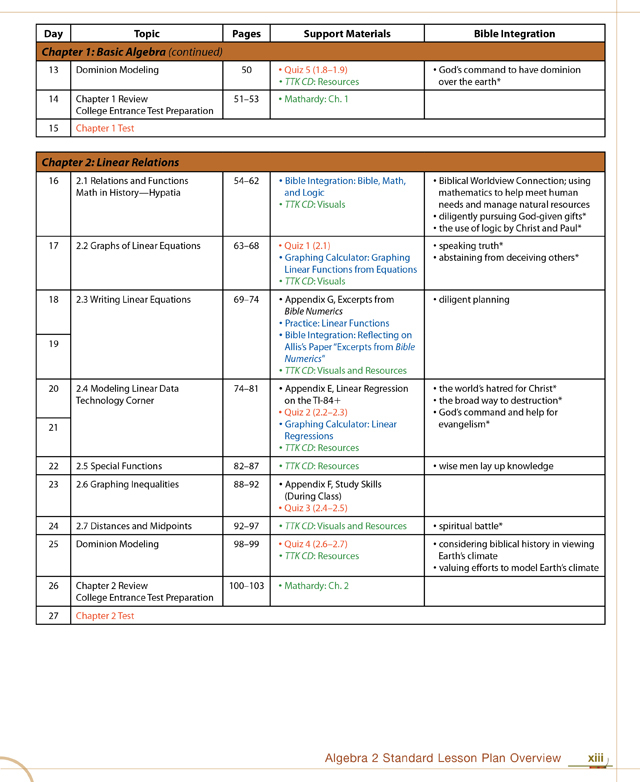 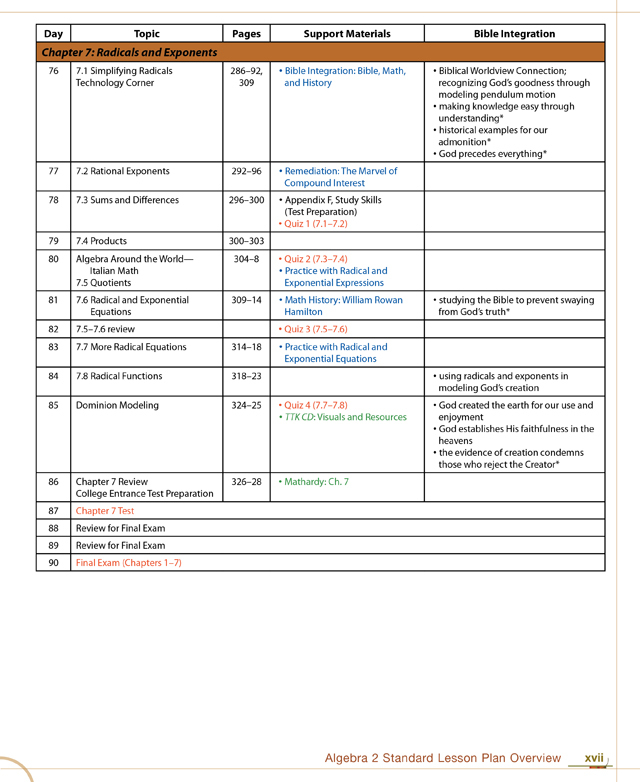 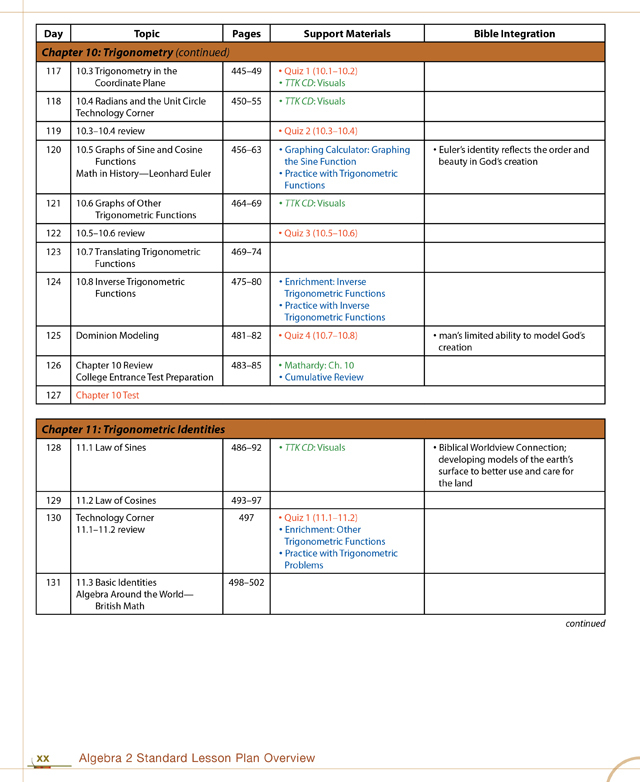 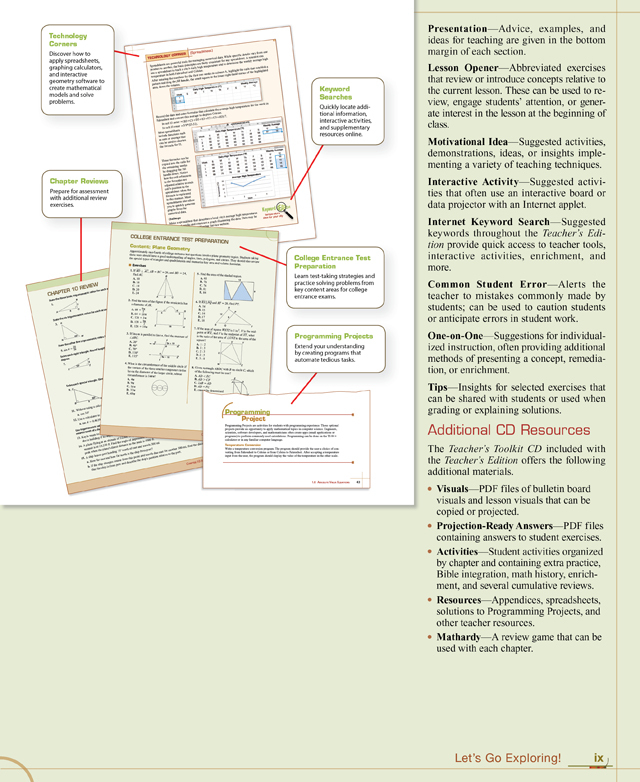 The Teacher’s Edition also contains a detailed Lesson Plan Overview and a Common Core State Standards Correlation chart that can assist in lesson preparation. 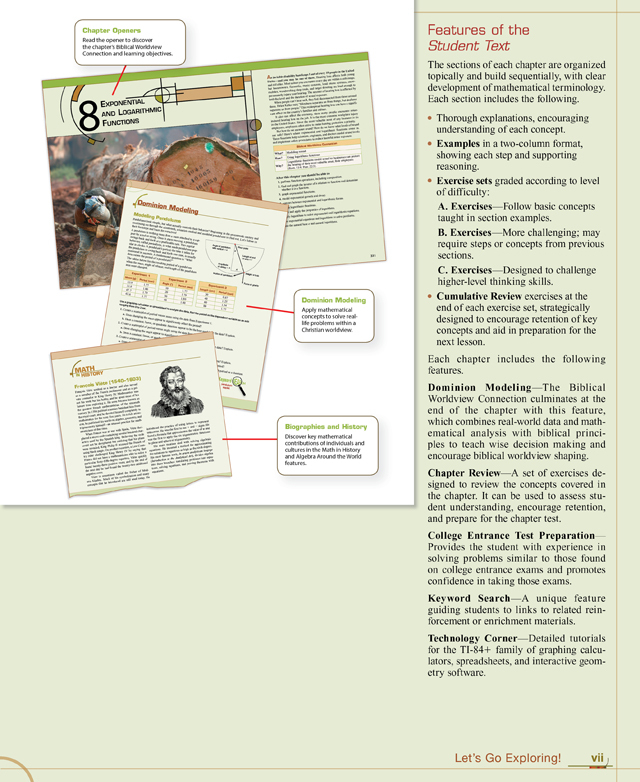 Grading is made simple because of reduced student pages with overprint answers and complete step-by-step solutions. 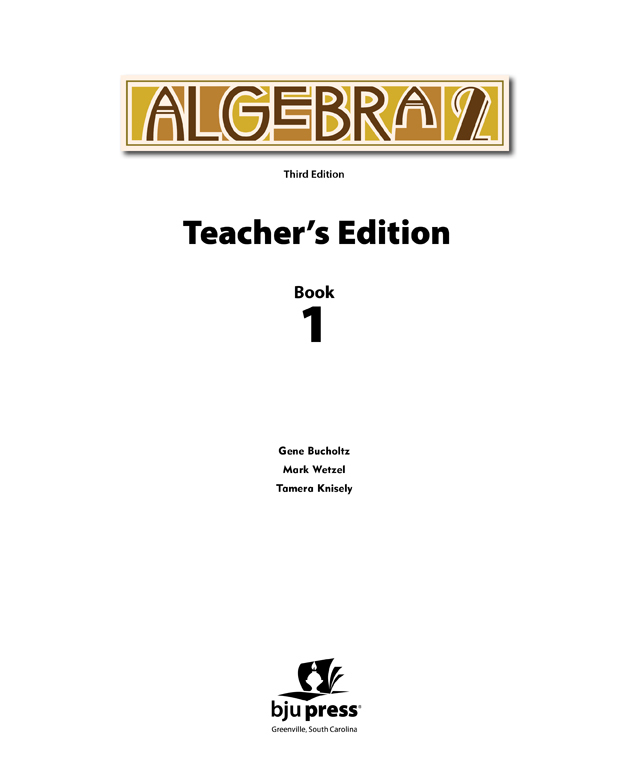 The Teacher’s Toolkit CD is also included with the Teacher’s Edition. 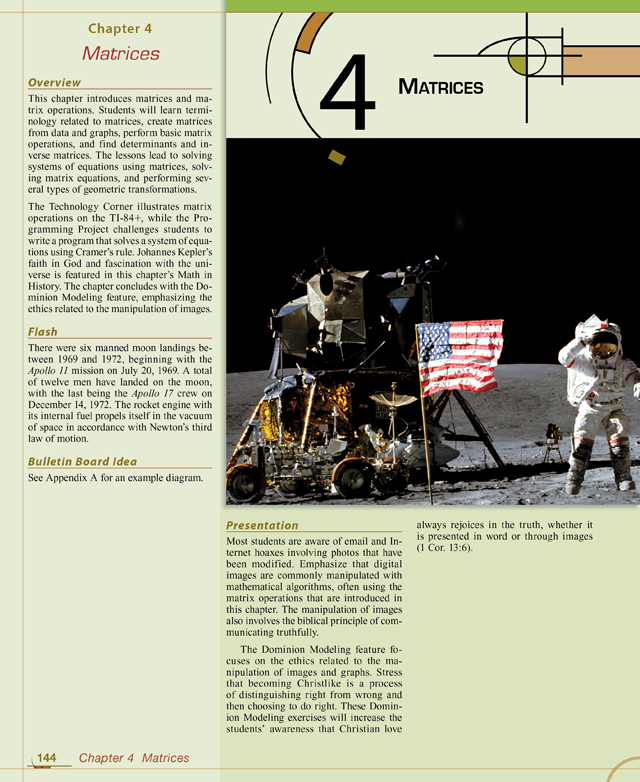 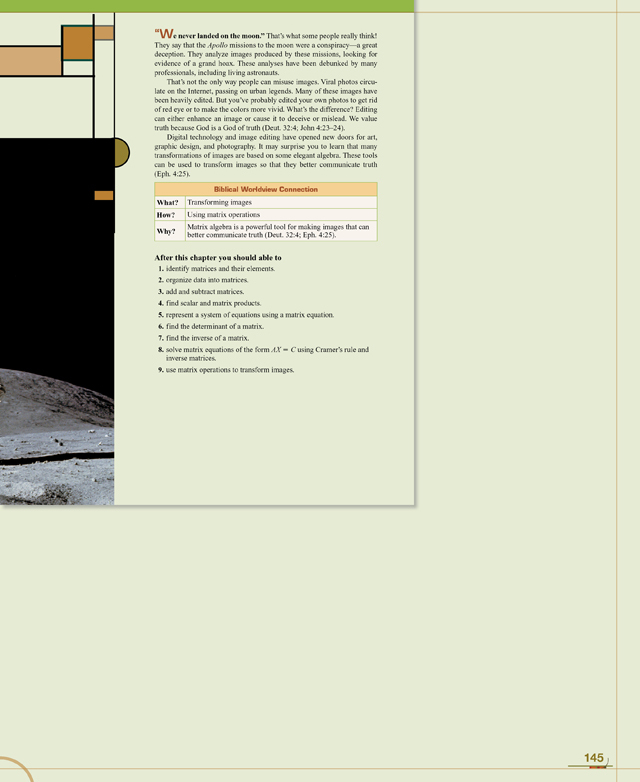 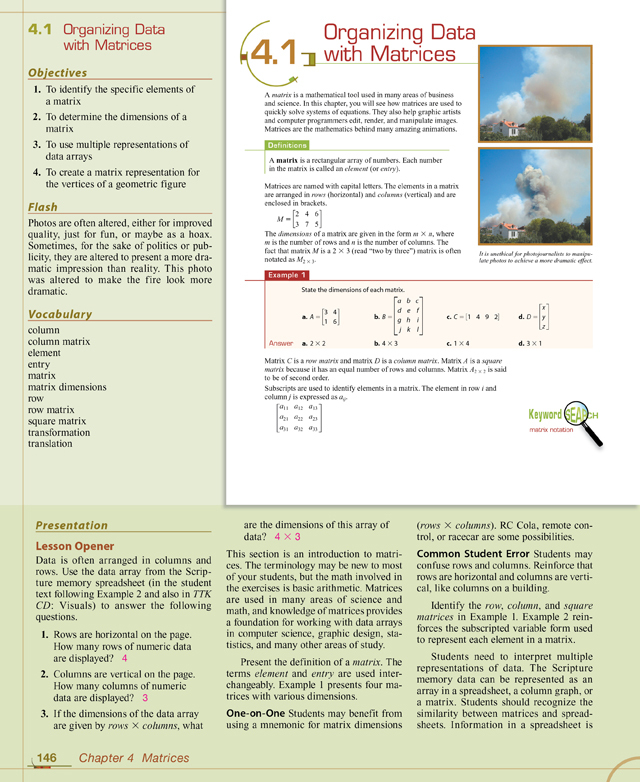 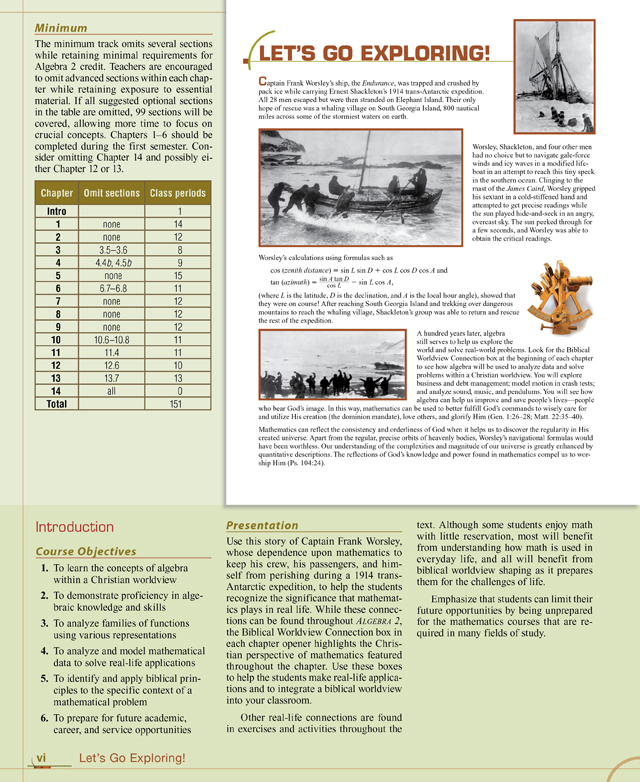 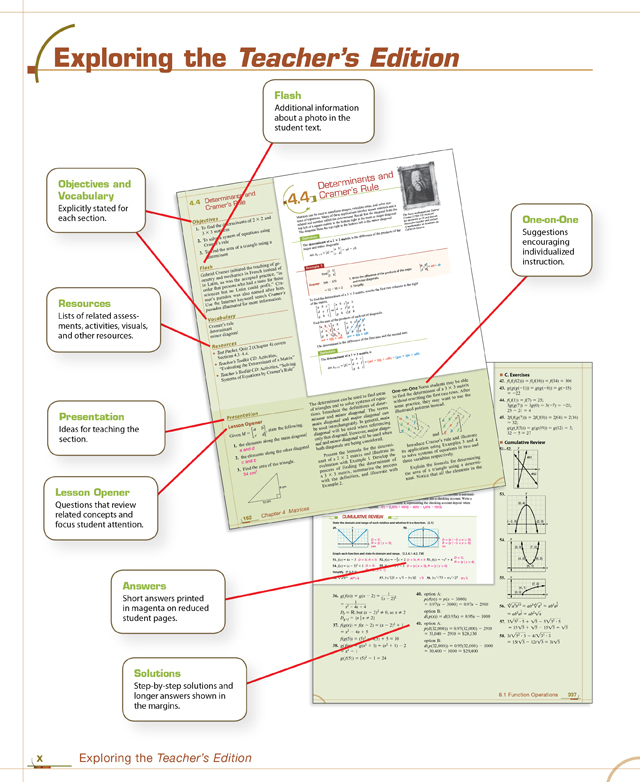 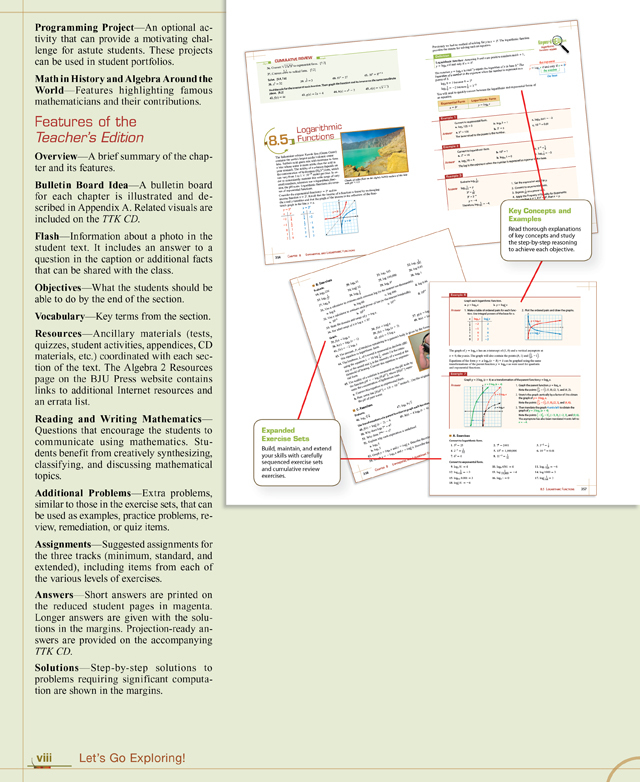 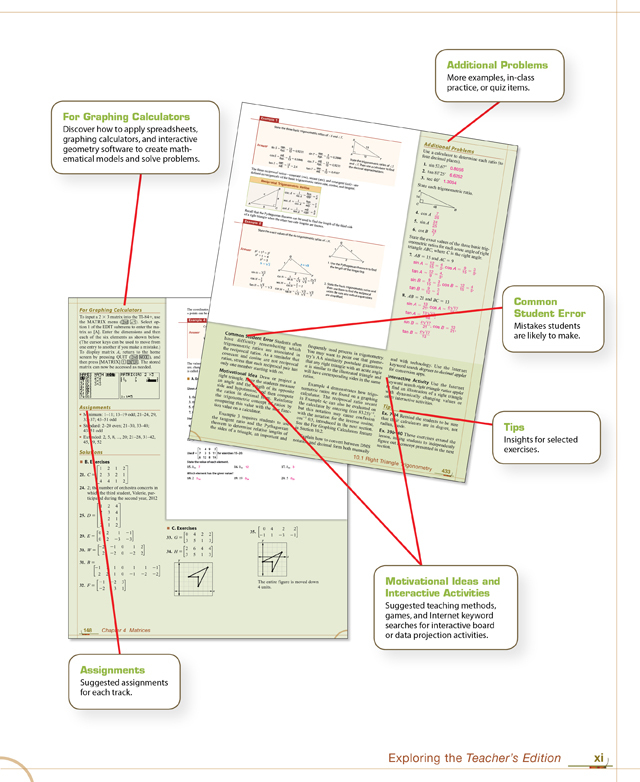 It contains extra reproducible activities (with answer keys), Projection Ready Answers for exercise sets, a Mathardy review game, related visuals, and other resources.